The proof is in the tasting… A new Ale for Harewood made from our very own hops! If you follow the path around the Lakeside at Harewood, you’ll come to the Walled Garden, the oldest garden at Harewood. It was already under construction when building at Harewood House began in 1759. Its purpose was to provide the kitchens there with the finest fresh fruit and vegetables. Horticultural skills of the very highest standard were nurtured there; new and exotic plants and food crops were introduced and specially designed buildings made to grow them in. It was extensively refurbished in the 1930s, with modern glasshouses replacing most of the old hothouses. The Walled Garden is enclosed by old red brick walls, built at great expense, as brick wasn’t as cheap as stone, but prized for its heat retaining properties. Hop growing is a classic use of these walls – 7 different varieties grow here including Fuggle, Mathon and Whitbread’s Goldings Variety. 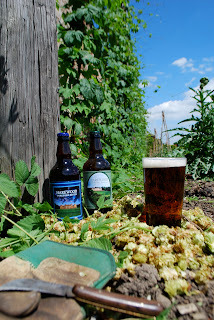 These hops are now hand-picked by staff and volunteers every September, reviving a tradition to produce Harewood’s own modern brew of bitter and pale ale. 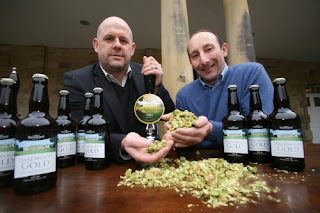 Harewood’s new Ale will be available this winter and throughout the year in 2012 to purchase from the Courtyard Shop. Posted 22 September 2011 at 10.53am by Hospitality Team. Filed under: Uncategorized. Tagged: ale, beer, gifts, Harewood, harewood gold, hops, special events, tour the brewery, visit harewood. It’s the dreaded 6 week holiday, a time feared and dreaded by most working parents. Except teachers, as they have the holiday too so are able to take care of their own kids. That’s not a dig by the way, teachers work really hard and I am full of admiration and respect for anyone who goes into teaching and does it well. But how do you entertain your kids for that long? Get other people to take care of them? Well you may have to rely on family and friends, but if you do get enough time off from work to enjoy the odd day out can I thoroughly recommend Harewood House www.harewood.org. I recently went there with Adam O’Neill who does our ‘drivetime’ show here on Capital and we had a marvellous time exploring the house and gardens. Unfortunately, we forgot to go below the house to check out how the other half lived, which I will do on my return. It’s wonderful place and has plenty going on; a grand historical house, kids play areas, a lake, bird garden, including penguins and flamingos. My favourite part is the specialist gardens, especially the Himalayan garden and Cascade. Its beauty is overwhelming and I could have stayed there for hours blissfully dreaming the day away, but my son was more interested in climbing and going on the zip wire. Entrance prices vary as you can purchase a ticket for the grounds only or a full ticket which includes a tour of the house. It’s well worth a visit. 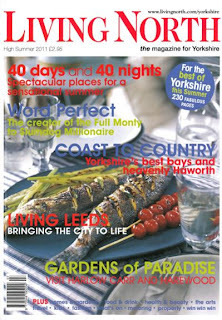 Staying on a garden and outdoor tip – have you checked out the gardens at Roundhay Park? The winning canal lock garden from Chelsea fl ower show is on display alongside a couple of other previous garden entries. The canal gardens by Tropical World have been massively improved since my last visit and these gardens are free to have a gander. There is a small fee to go into Tropical World, which is great on a wet, cold day as it is reminiscent of a tropical climate. The park itself is excellent to yomp around with lots of open space, woodland, lakes and a folly in the form of small castle. Go on, get out there and have some fresh air. 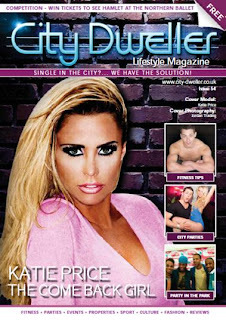 Buy this month’s City Dweller to read more from Jo Jo! Posted 9 September 2011 at 4.19pm by Hospitality Team. Filed under: Uncategorized. Tagged: city dweller, Harewood. The feature focuses on our Walled Garden and recent developments to see it restored to it’s former glory. An evocative place, tucked away beyond the lake at Harewood, the Walled Garden is a true hidden gem with a secret doorway into a paradise of cultivation! You can sample the delights of the Walled Garden in our Courtyard Cafe and Terrace Tea Rooms – check out the menu next time you visit Harewood! Produce is also available for sale in the Courtyard Shop… bettroot, broad beans, cauliflowers and fennel are all good right now! Posted 11 July 2011 at 2.04pm by Hospitality Team. Filed under: Uncategorized. Tagged: book shop, courtyard cafe, gardens, produce, walled garden. 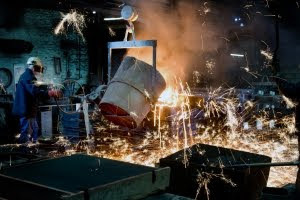 The foundry process is only one part of the production, done one at a time, the piece is prepared ready at the studio, made from polystyrene blocks carefully and precisely cut and assembled to plan, then sprayed with a ceramic coating to create a shell of sorts around the polystyrene. A couple of days later the piece must be ‘knocked out’ and excavated from 2 tons of sand, it’s a strange and gruesome sight, black with ash and rough around the edges… the piece is then ready to go to the studio to be ‘fettled’, essentially cleaned up ready for oxidising and then on to Harewood ready for the exhibition! A specially commissioned film documenting the process of the two pieces being made will be shown alongside the exhibition at Harewood, including an exclusive interview with Antony Gormley himself… don’t miss the show this summer! Posted 23 June 2011 at 12.00am by Hospitality Team. Filed under: Uncategorized. Tagged: Antony Gormley, art at harewood, art exhibition, Harewood. At last night’s private view to launch Harewood’s Epstein exhibition Finding Adam, Diane Howse (Viscountess Lascelles) announced that sculptor Antony Gormley will be showing two new pieces of work in the Terrace Gallery later this summer. Our current exhibition ‘Finding Adam’ explores the epic journey of Sir Jacob Epstein’s magnificent alabaster sculpture Adam from his origins in Epstein’s studio in London to Harewood House in Yorkshire, via Blackpool, New York, Cape Town and the Edinburgh Festival, as well as celebrating his return from cleaning and exhibiting at the Royal Academy of Arts in London. 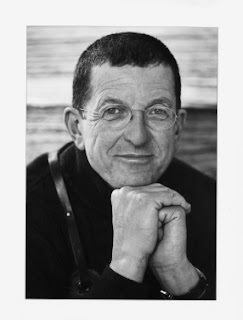 Antony Gormley adds: “I am delighted to have the opportunity to show two works at Harewood House, long associated with ‘Adam’, Epstein’s powerful evocation of masculine yearning carved from a massive block of English alabaster. Antony Gormley’s installation will open to the public in the Terrace Gallery at Harewood on Saturday 13th August and will run till 30th October. Posted 6 May 2011 at 4.00pm by Hospitality Team. Filed under: Uncategorized. Tagged: 2011, adam, Antony Gormley, art, art at harewood, art exhibition, artist, epstein, Harewood, Harewood House.